Now the first thing we wish to attend to in this instruction is a belief that things will not change. If you all attend to yourselves for a moment, the lives that you are living currently, and see what areas of your life you have decided will not change, you will see where you are holding energy in abeyance to historical structure. And the alignment you have in this very moment is what is claiming this thing as static. It will not change. What we would like you to do now, the reader, yes, is decide for a moment that one of the things you see in your life that you agree will not change will be changed and not through force of will, but because it can. The moment you decide that it can change, you have shifted the frequency of the thing that has been static. The moment that thing is shifted, it can be lifted in higher resonance to be manifested as changed. The alignment that you hold in your own being is what is claiming your life into being, and the agreements you’ve made thus far about who and what you are, what it means to be a man or woman, a success or failure, even happy or sad, yes, is what claims you in all ways. The decree we give you by our authority is that this thing will be changed, this thing you’ve decided will be changed by your agreement to be in change. And already you are deciding to move beyond the known, or the codification of what was, to a new landscape where change will be possible. We are saying “will” intentionally, not may be possible, which would support you in wavering on the fence. “Perhaps this is so, perhaps this is not.” But it will change, which aligns you in your intention to claim the higher and to call it into being. As mankind collectively gives in to her inner authority, his inner authority, which is the Divine Self in truth, mankind realizes itself outside of the landscape that was claimed in lower nature. As mankind lifts to a new potential, what must happen is that those things that were called into being by mankind in fear, in a need to control others, in defiance of the light that they truly are, will be attended to as the things that will change. Now hear these words. This is not only an instruction, but it is a manual for ascension of the being that you are as truth. And we call it The Book of Truth because the truth of knowing who and what you are is actually what transforms you. Most of you like to do things. “Today I will go fix this or that. I will make this or that a little better.” But we will say this to each of you: While you may attend to your days that way, you will never transform to the True Self by changing your dress or fixing your hair or opening another bank account or buying a bigger house. What you would attend to as a manifestation of change without the truth in alignment is simply an expression of choice. As the true Self comes forth and claims victory, her purview is all she sees before her. Now the consequence of that — and we will use very simple language here — is that the one who sees truth calls truth into being. When you have a lie, or something that was constructed as a lie, when you claim it as truth and you align that thing to truth, the lie is gone because it will not exist in the truth, in the octave of truth, as the vibration of truth. Paul Selig is considered to be one of the foremost spiritual channels working today. In his breakthrough works of channeled literature -- I Am the Word, The Book of Love and Creation, The Book of Knowing and Worth, and The Book of Mastery -- he has recorded an extraordinary program for personal and planetary evolution as humankind awakens to its own divine nature. 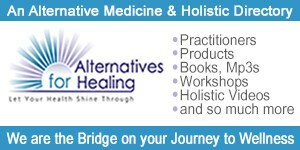 Paul offers channeled workshops internationally. He serves on the faculty of The Omega Institute, The Kripalu Center and the Esalen Institute. He lives in New York City where he maintains a private practice as an intuitive and conducts frequent live-stream seminars. Learn more about his latest book, The Book of Truth, at www.penguinrandomhouse.com/books/318544/the-book-of-truth-by-paul-selig/ Excerpted from The Book of Truth by Paul Selig with the permission of TarcherPerigee, an imprint of Penguin Random House.